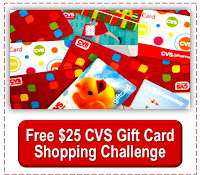 I just did a small trip as part of my $25 CVS Gift Card Challenge with my free $25 CVS gift card from Swagbucks this week, but it was a money maker! Many people include deodorant in their Operation Christmas Child shoebox gifts. We may donate it to someone who will, but we don't usually put them in ours. We do donate them to local charities. This is shopping trip #10 in my CVS gift card challenge. My $25 CVS gift card earned on Swagbucks plus extra bucks and cash back earned on purchases made with it total $30.82 worth of CVS spending power. See the spread sheet below for details of my current totals. Note that I added the extra buck that expired while I was on vacation, reducing my spending power by $1.